O metepe – Nicaragua The Caribbean island of Ometepe, meaning ‘between two hills’, is an island consisting of two dormant volcanoes, their lush green slopes, and a narrow slice of land between them. The forests on Ometepe are a great place to observe armadillo, monkeys, anteaters, opossum, deer, and bats, as well as endless species of insects, reptiles and amphibians. It’s white sand beaches and almost unbelievable tranquility make it a great destination for nature lovers interested in hiking and climbing. Ometepe is off-the-beaten-path of vacation destinations in the Caribbean and provides plenty of open, uncrowded spaces and peace and quiet. The economy of Ometepe is based mainly on agriculture. The principal agricultural exports are coffee, sugar, cotton, bananas, tobacco, sesame seed, beef, rice, beans corn, and sorghum. Ometepe is, however, developing commercial and ecotourism, using its archaeological past and natural beauty as prime attractions, having realized its importance to the island’s economy. Several small hotels have developed to accommodate the influx of visitors and Caribbean real estate investors. Nicaragua has a stable pro-business government that has been in power for over 10 years. It is the fastest growing economy in Central America and has some of the most attractive attractive laws for tourism, Ometepe real estate and foreign investment in all of Latin America. Ometepe offers a wide range of business opportunities that are perfect for small and medium level entrepreneurs. Land is cheap and Ometepe real estate ownership is unrestricted. Any foreigner can own Caribbean real estate in Ometepe, and you can own a part of this untouched paradise for as much as 10 or even 50 times cheaper than property in the United States, Canada or other Latin American countries like Costa Rica. A fabulous beachfront lot for may sell for as little as $20,000 and constructing a fabulous top of the line home, about $30,000. A smaller home with three bedrooms, a living room, a bath, and a small patio in a central location in one of the towns starts at about $26,900. The government of Nicaraugua also offers retirees a special one-time duty-free exemption. They need only to have a fixed income of minimum four hundred dollars a month and are allowed to bring up to $10,000 worth of household goods and personal items into the country duty-free. They are also exempt from income taxes on any income generated overseas. If you are looking to invest in Caribbean real estate (or simply just vacation) that is off the beaten path and free of crowds, yet full of activities and natural beauty, the Caribbean island of Ometepe will not disappoint. Isla de Ometepe is a 276 square kilometer paradise full of pristine rainforests, archeological treasures, varied wildlife, and local culture. 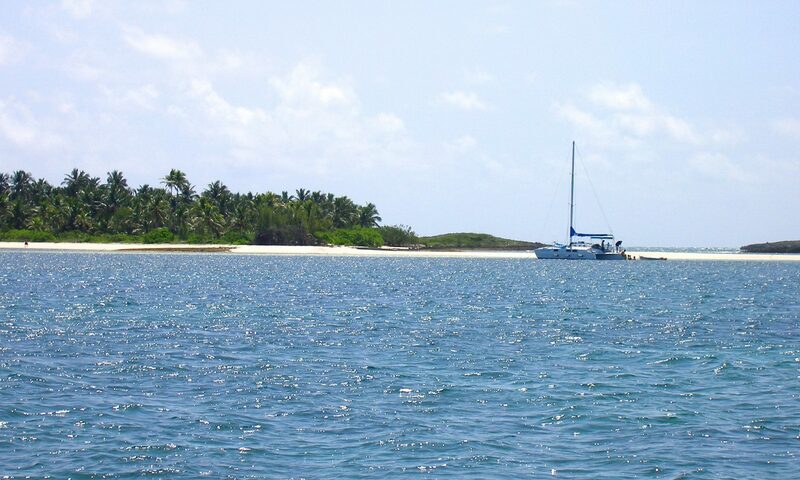 The waters surrounding the island are home to the only species of freshwater shark in the world, and wildlife viewing is a year-round attraction on the island, along with watching the 80 species of birds that inhabit the island and the migrating birds that flock here in May. Altagracia has some of the best-preserved evidence of Ometepe’s pre-Columbian history. Learn about the island, purchase art and replicas at the museum, or visit the church in the center of town, for a look at stone carvings. The yearly Fiesta de San Diego in November commemorates the pilgrimage and the death of Altagracia’s patron saint. In April there is a festival in honor of San Pedro Martir. You might want to spend a few nights at Finca Magdalena, an organic coffee cooperative farm and rustic lodge. You can enjoy the warm hospitality while you watch coffee being processed by hand, or discover petroglyphs, monkeys, and white heron. Climb up the slopes of Volcán Maderas, a four-hour trek through challenging rainforest trails. White-faced capuchin monkeys, mantled howler monkeys, parakeets, butterflies, bats, squirrels, large beetles, caterpillars, and large blue swallowtails are all visible along the climb. The crater is a unique place with volcanic rock changing abruptly into soft marshes blanketed with bright green grass. A clear warm water lagoon begins at the edge of the grass. Moyogalpa is a typical sleepy port town. The Fiesta de Santa Ana is held in July in Moyogalpa with attractions like the Dance of the Inditas, costumed processions, bull fights and duck or chicken races. Volcán Concepción is on the northwest side of the island and much easier to climb than Maderas. The active fumaroles are a must see, but the cone is inaccessible and generally shrouded in thick clouds. This volcano erupted last in 1986, and the volcanic ash has enriched the soil that crops coffee, tobacco, and bananas. Other attractions of Ometepe include waterfalls, the lagoons of Charco Verde, various petroglyphs and local myths and legends. Punta La Paloma, or Pigeon’s Point, is only a few minutes from Moyogalpa, and provides fantastic views of the entire island. You can also take mountain biking, horseback riding and trekking trips on the slopes of both volcanoes. Nicaragua has a tropical climate, generally alternating between two seasons, rainy and dry. With a geographic location between 11 and 15 degrees latitude north, combined with the humidity from the Atlantic and Pacific oceans, Lake Nicaragua, as well as Ometepe, has fairly stable weather year round. The rainy season is usually between May and October, and dry season between November and April. In December the weather is temperate and the warmest months are March, April and May. Ometepe Location and Travel The Caribbean Island of Ometepe is located in Central America, in the massive freshwater lake called Lake Nicaragua or Lake Cocibolca. This falls within the geographical boundaries of Nicaragua. This Caribbean Island consists of two volcanoes, one called Concepción which is 1610 meters in height, and another called Maderas, standing 1394 meters tall. They are joined by a narrow slice of land, surrounded by the waters of Lake Nicaragua. You can reach the island of Ometepe easily from either of the cities of Managua or Granada. You can take a boat or ferry from San Jorge near the city of Rivasor from Granada. A boat from San Jorge is the fastest, taking about an hour to the main port, Moyogalpa. Ferries are quite cheap and are the best option if you are taking a car. The boat from Granada runs twice a week and less reliable, and takes you to the northern side to the island city of Altagracia. There is much to see on the island, and numerous ways to see it. You can choose how you want to explore; by bus, car, on horseback, on a bicycle, on a canoe, or even on foot. Buses run regularly around the volcanoes on weekdays, but are scarcer on weekends. Schedules are quite flexible, so ask the locals when the next bus is likely to arrive, and where you should wait for it. The two-hour bus ride is a great way to see the beautiful scenery and the colorful local life of Ometepe. Cars can be rented from the many rental agencies in Moyogalpa, and Altagracia. The Cari Hotel & Marina in Moyogalpa has horses, bicycles, and canoes for rent as well. None of these is likely to cost more than $21 for a day. Taxis on the island are generally more expensive than taxis on the mainland, but prices are still very reasonable. A number of guided tours are also available from various hotels. A newly paved road between Moyogalpa and Altagracia has reduced travel time to 30-40 minutes, although the road to the Maderas is still unpaved and requires much more time and effort. If you prefer the most private hotels and untouched natural surroundings, you should go toward the Maderas side of the island. The Caribbean island of Ometepe became inhabited around 2000 to 500 BC. The first known inhabitants were the Nahua Indians hailing from Mexico. They were followed by the Niquirano Indians, who established a settlement here. Ceramics and monuments from that era can be found on the island to this day. There are petroglyphs and stone idols dating as far back as 300 BC on the northern slopes of the Maderas volcano. The Spaniards conquered the Central American region in the 16th century, after which pirates prowled Lake Nicaragua, coming in from the Caribbean Sea up the San Juan River. They took refuge and created settlements on Ometepe, robbing, pillaging and looting, until they had driven the native population to the higher ground of the two volcanoes. Ometepe was annexed toward the end of the 16th century by the Spanish conquistadors, through a settlement. But French, English and Dutch pirates continued to visit and maraud the island until the end of the 17th century. The Caribbean Island of Ometepe is located in Central America, in the massive freshwater lake called Lake Nicaragua or Lake Cocibolca. This falls within the geographical boundaries of Nicaragua. 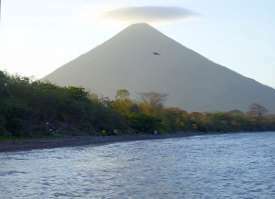 This Caribbean Island consists of two volcanoes, one called Concepción which is 1610 meters in height, and another called Maderas, standing 1394 meters tall. They are joined by a narrow slice of land, surrounded by the waters of Lake Nicaragua. You can reach the island of Ometepe easily from either of the cities of Managua or Granada. You can take a boat or ferry from San Jorge near the city of Rivasor from Granada. A boat from San Jorge is the fastest, taking about an hour to the main port, Moyogalpa. Ferries are quite cheap and are the best option if you are taking a car. The boat from Granada runs twice a week and less reliable, and takes you to the northern side to the island city of Altagracia. There is much to see on the island, and numerous ways to see it. You can choose how you want to explore; by bus, car, on horseback, on a bicycle, on a canoe, or even on foot. Buses run regularly around the volcanoes on weekdays, but are scarcer on weekends. Schedules are quite flexible, so ask the locals when the next bus is likely to arrive, and where you should wait for it. The two-hour bus ride is a great way to see the beautiful scenery and the colorful local life of Ometepe. Cars can be rented from the many rental agencies in Moyogalpa, and Altagracia. The Cari Hotel & Marina in Moyogalpa has horses, bicycles, and canoes for rent as well. None of these is likely to cost more than $21 for a day. Taxis on the island are generally more expensive than taxis on the mainland, but prices are still very reasonable. A number of guided tours are also available from various hotels. A newly paved road between Moyogalpa and Altagracia has reduced travel time to 30-40 minutes, although the road to the Maderas is still unpaved and requires much more time and effort. If you prefer the most private hotels and untouched natural surroundings, you should go toward the Maderas side of the island.